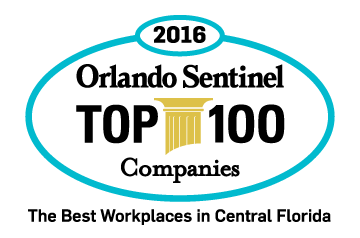 Resource Consulting Group was recently selected as one of the 2016 Orlando Sentinel Top 100 Companies. The list of “Top 100 Companies” was created by the Orlando Sentinel and Best Companies Group. For more information on the Orlando Sentinel Top 100 Companies program, visit www.Top100CompaniesORL.com.